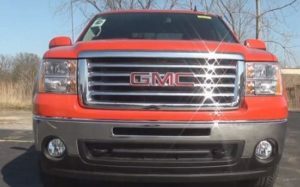 2012 saw a nice increase in pick-up truck sales across all major truck manufacturers. In this article we are talking about where they each stand in terms of half ton pick-up trucks sales in 2012. Let’s not get a fiery debate going, this article is meant for informative purposes only. Oh who are we kidding, if your brand loyal go ahead and let everyone know! So to break down the stats right off the bat, Ford sold the most half tons trucks with the F-150, selling over 340,000 trucks in 2012. Next was the Chevy Silverado selling over 260,000 trucks in 2012. Then came the Dodge Ram, the GMC Sierra, Toyota Tundra, Chevy Avalanche and Nissan Titan. The first thing you will notice if you are a General Motors fan is that statistics can be a bit deceiving. If you combine all the General Motor products they take the overall by a long shot. That is if you combine the Sierra, Silverado and Avalanche sales they well surpass the total sales Ford had in 2012. So depending on how you slice it will determine who you consider the truck selling champ of 2012. The way we see it GM sold more total units and if you break it down per month this seems to further prove the logic. However, if you break up by individual model than the F-150 is the clear victor.